For many scientists, the most exciting result of the LIGO discovery of gravitational waves is that astronomy can now enable them to probe the “dark” universe: objects and forces that don’t absorb, reflect, or emit light, yet make up 96 percent of the universe –a seismic shift in astronomy, which has been studying the light side of the universe for 5,000 years. "The discovery of ripples in space-time — gravitational waves — shook the scientific world this year," Science reporter Adrian Cho wrote in an article about LIGO explaining why the research earned the Science magazine's top honor. "But instead of the end of the story, scientists see the discovery as the birth of a new field: gravitational wave astronomy." Science magazine bestowed its 2016 Breakthrough of the Year Award upon the collaboration of scientists who built and operate the Laser Interferometer Gravitational Wave Observatory (LIGO), the journal announced today (Dec. 22). This is one of many awards and recognitions that the collaboration and its scientists have already won. The British novelist Martin Amis once said we are about five Einsteins away from explaining the universe's existence. We took a step closer this past January, when a century after they were proposed in Einstein’s theory of general relativity, scientists have finally verified that gravitational waves and black holes exist. “This is just the beginning,” said Gabriela González of aLIGO. “Now that we know binary black holes are there, we’ll begin listening to the universe.” Evidence of “ripples in spacetime” detected by the LIGO Scientific Collaboration marks the dawn of gravitational wave astronomy, say astrophysicists. The gravitational waves were generated when two black holes merged 1.3 billion years ago. 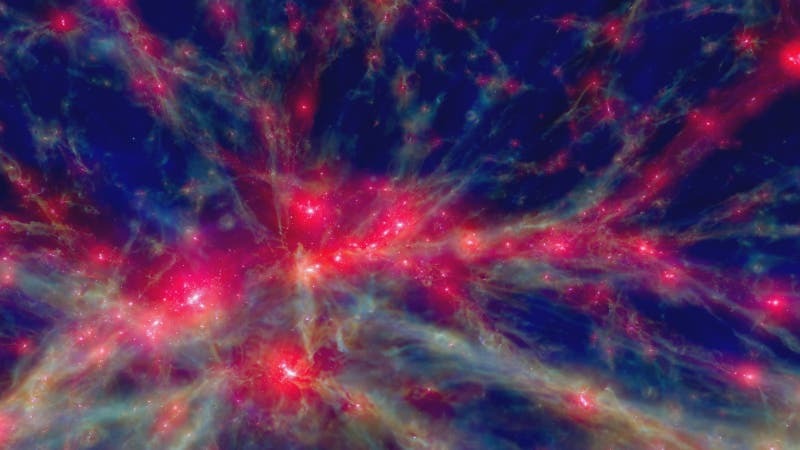 “It tells us something about the power of the human mind to understand nature at its deepest level," said cosmologist Neil Turok, Director of Perimeter Institute, one old the world's leading experts on the cosmological constant and a cyclic model of the universe. “This was truly a scientific moon shot, and we did it,” said Reitze. Gravitational waves are ripples in the fabric of spacetime, created when two massive objects – such as black holes or neutron stars – hurtle around each other at extremely high speeds and collide. First put forward 100 years ago as a consequence of Albert Einstein’s theory of general relativity, they have challenged theorists and experimentalists alike as one of the few elements of the theory that had not been experimentally proven. Until now. LIGO, a system of two identical interferometers constructed to detect the tiny vibrations of passing gravitational waves, was conceived and built by MIT and Caltech researchers, funded by the US National Science Foundation. Perimeter INstitute cosmologist Latham Boyle is also excited about the unknowns that gravitational waves could now reveal. As he explained during the Perimeter panel, there was a span of decades between the discovery of radio waves and their use in astronomy. “For 40 or 50 years, nobody built radio telescopes,” Boyle said. “Finally, when they did, there was a flood of all kinds of crazy discoveries. [There was] the cosmic microwave background radiation, which is kind of a cosmic selfie, then they discovered these things called pulsars, and they discovered quasars. Snapshot of the Oldest Light in the Universe –"Reveals Clues to Its Origin"